Dr Anuja A Agashe completed her MBBS from B.J. Medical College Pune in 2003 after which she completed her Post graduation in Obstetrics and Gynaecology from Sassoon General Hospital and B.J. Medical College in 2007. She stood first in the university in the examination. There after she was awarded the DNB degree by the ministry of Health and External Affairs, New Delhi in 2008. She was a Lecturer in Department of Obstetrics and Gynaecology at Sassoon Hospital and B.J. Medical College for 1 year. She spent the next 2 years in learning the science and art of Infertility management and Laparoscopy Surgery at Ruby Hall Clinic and Oyster and Pearl Hospital. 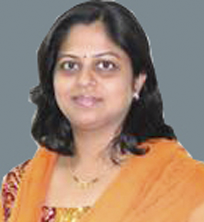 Presently she is working in Krishna General Hospital as a Consultant Obstetrician and Gynaecologist and Infertility Specialist.